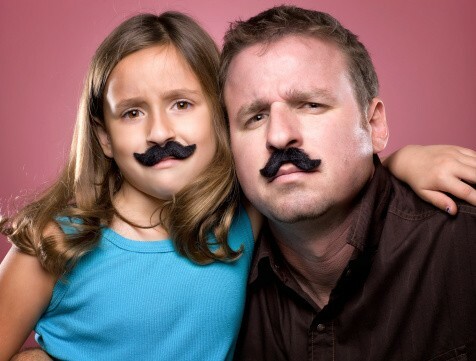 Do you think developing your child's sense of humor is important? We've all been told laughter is the best medicine, but have we really considered the social, emotional and health benefits of humor? Children with good sense of humor have been shown to be happier, more flexible and more liked by their peers. They also tend to have a more positive frame of mind, higher self esteem and the ability to handle difficult or stressful situations well. "It is never too early to start developing a sense of humor," said Christina York, Ph.D., a psychologist at Cook Children's. "All children will face very challenging circumstances, and humor may help them work through those sometimes-trying times of childhood." What happened when Frosty the Snowman got sick? He threw up all of his powdered donuts and it began to SNOW!! When it comes to jokes, Eric Hopkins, M.D., has got a million of ‘em. Click to read about one of our funniest pediatricians. As a child explores new and funny things, always teach him or her what type of humor is acceptable for certain situations. If a joke is inappropriate, gently correct the child and provide alternate jokes or stories to tell instead. Put a smile on our face by sharing funny stories about your children.